Don’t be caught without your insurance coverage. To keep it running properly, legal names (no nicknames), correct dates of birth, social security numbers, gender, and home addresses of all enrollees are required. Inaccurate data recorded in Self Service can (and often does) result in denied insurance claims or delayed payments. A wrong SSN can result in a report of no health coverage to the IRS leading to a possible income tax penalty. It is up to you to regularly review your personal data in Self Service. Be sure to check the data on both yourself and your enrolled dependents. Contact SEGIP to make corrections for any data you cannot correct yourself or for help enrolling when you are missing required data. 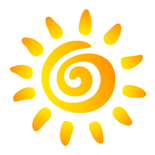 Accurate data is like sunscreen—it keeps you from getting burned. Children who move away from home may still be eligible to remain enrolled in your medical coverage. 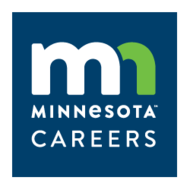 The Minnesota Advantage Health Plan has Point-of-Service (POS) coverage that your under-age-26 dependents can use when living out-of-state either permanently or just while attending college. Calling SEGIP to request this benefit and determine if your dependent is eligible. Completing and submitting the Point-of-Service form to SEGIP. Benefits under POS are not the same as in-network benefits. There is a $350 single deductible (or $700 with two or more out-of-state dependents). Services are covered at 70 percent with the member responsible for 30 percent coinsurance. The out-of-pocket maximum is limited to the selected Primary Care Clinic’s cost level. For example, a cost level 1 or 2 will have a maximum out-of-pocket of $1,200. Timing is essential to accessing POS benefits. Requests for POS are NOT retroactive. If your kids will soon move out-of-state, contact SEGIP at 651-355-0100 or segip.mmb@state.mn.us to see if they are eligible for this benefit. The Diabetes Medication Therapy Management (MTM) program provides health improvement and financial benefits. Employees and dependents age 18 and over are eligible to participate. You can join anytime. Dependents can visit the MTM Dependent Program page for more details. Participating dependent’s copays are waived on formulary diabetic supplies and medications. Employees can visit the MTM Employee Program page to learn how to join. Participating employees that meet with a MTM trained pharmacist earn a one-time incentive and get copays waived on formulary diabetic supplies and medication. Another one-time incentive can be earned by completing a health coach program to support lifestyle changes. The program encourages and rewards lifestyle changes. It can help you keep your diabetes and pocket book under control. Omada is a breakthrough program that guides you through modest lifestyle changes that help you lose weight and reduce your risk for type 2 diabetes. You and your adult dependents can join the over 5,000 SEGIP members who already have started and are successfully reducing their risk. Participants have lost over 40,000 pounds to date. 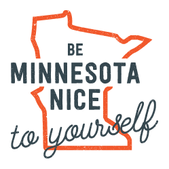 Be Minnesota Nice to yourself. Take a one-minute health test to find out if you’re eligible for the program. SEGIP covers the entire cost for eligible members. Your IRS Form 1095-C for calendar year 2015 is now available in Self Service. You can access it under the benefits tab. The 1095 is the new tax form sent to your home earlier this year. It tells the IRS of the months during which you, and if applicable, your dependents, had health insurance coverage. Although you do not include this form with your tax filing, we are required to provide the IRS a copy of your form. We provided the 1095 both in paper and electronic forms for 2015. This fall you will have the option to choose to receive it electronically for 2016. Get the highest level of coverage available by choosing an in-network dentist. You can choose a dentist from the networks offered by either the State Dental Plan (Delta) or HealthPartners State of Minnesota Dental Plan. Basic and major restorative services are covered at 80 percent when you select an in-network dentist. Benefit coverage is lower for out-of-network dentists. Dental providers can move in or out of the state’s network throughout the year. 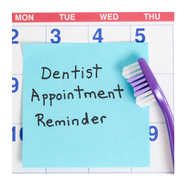 Give your dentist a check-up on network status by calling the number on the back of your dental ID card or go to Choose Your Clinic. The State offers three pre-tax transit accounts that allow you to pay your work-related parking and transit costs on a pre-tax basis. These accounts can save you money. But you can only pay once, so do not deduct twice! Understanding how these accounts work can keep money in your pocket. The Payroll Deduction Account (PDA) is administered by individual agencies. 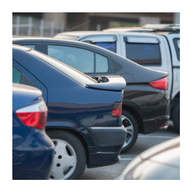 It automatically deducts parking and transit fees from your paycheck on a pre-tax basis and pays the expenses for you. You never see bills or submit claims. Your deductions automatically increase when your costs increase. You sign up once for a PDA and it continues until you end it. 121 Benefits administers two other Transit Expense Accounts which cover the same expenses as the PDA. The PKEA covers parking expenses and the BVEA covers mass transit costs. You must sign up for these accounts each year before the expenses are incurred, and you can stop them at any time. The amount you elect is deducted from your paycheck on a pre-tax basis. To be reimbursed you must submit a timely reimbursement request with receipts to 121 Benefits. The PKEA and BVEA come into play when a PDA is not available or when it does not cover some of your expenses. Let’s say you have a PDA for your regular parking expense but sometimes you choose to take the bus to work. The BVEA can be used to cover those periodic mass transit expenses. Or maybe the PDA covers your monthly bus pass but you use the PKEA for parking expenses when you choose to drive. Don’t lose your hard-earned money to unspent deductions. If you have your work-related expenses double deducted, you can cancel one of the accounts and stop doubling up. SEGIP or your HR office can help ensure you are not over-deducting. Notify SEGIP of your return to state employment. Enroll in the active employee benefits, if you wish to participate. Write a letter stating that you are putting your retiree coverage “on hold” while you are enrolled in the state’s active employee insurance program. Submit this letter to SEGIP at segip.mmb@state.mn.us and to your retiree insurance carrier listed on the back of your membership card. Avoid a lapse in coverage by paying your medical and dental carrier up to the date that your active coverage becomes effective. Retiree dental and senior plans are not pro-rated. You must pay for the entire month. Call SEGIP 45 days before the end of your active insurance eligibility or work assignment for assistance in transitioning back to retiree benefits. If you are participating in the Post Retirement Optional Life benefit, continue to pay your monthly premiums to MNLife. Retiree Basic Life will end if you are employed in an insurance eligible position. Be sure to re-elect Continuation of Basic Life when your eligibility for active life insurance ends. If you are age 65 or greater, please call SEGIP (651-335-0100) prior to re-employment to find out how Medicare eligibility affects the transition.